Palaeontologist v Paleontologist - What's the Difference? Palaeontologist v Paleontologist – What’s the Difference? During our school visits to carry out dinosaur and fossil themed workshops we often get asked to help with various aspects of the teaching scheme of work. Everything Dinosaur’s team members are happy to provide advice and to assist where they can. We even send out lots of free teaching resources, lesson plans, activity ideas and learning aids related to fossils and prehistoric animals. However, we do see a lot of other teaching resources, many of which have been downloaded from education company websites, that are inaccurate. Some of these resources have cost money, thus depleting an already stretched teaching budget. We try to do what we can to help out. So many events, so many activities, so many photographs. Today we will deal with a very simple point, the difference between “palaeontology” and “paleontology”. We know that a number of the resources used by teachers and learning support providers (home educators too for that matter), are sourced from other countries, such as America. Herein lies the confusion. The word palaeontology is often seen in these resources (and elsewhere) with an “a” missing. We have the term “palaeontologist” and also “paleontologist”. So let’s start at the beginning – what is palaeontology or paleontology? Palaeontology or paleontology mean the same thing. These words describe the branch of science that deals with the study of extinct animals and plants and their fossilised remains. The word is derived from the Greek palaios which means “ancient”, a reference to prehistoric times. Palaeontology (with an extra “a” added) is the term used in Britain and elsewhere in the world, whilst paleontology is the Americanised version of the word and it is customarily used in the USA. Both words are interchangeable but most institutions tend to use one word rather than the other. For example, Everything Dinosaur uses the term palaeontology, whilst the Chicago Field Museum (Illinois, USA) uses the word paleontology. The dropping the “a” convention applies to all the sub-disciplines in this broad area of scientific study. Palaeontology (UK) Paleontology (USA) – The study of extinct organisms and their fossils. Palaeontologist (UK) Paleontologist (USA) – A person who studies extinct organisms and their fossils. Vertebrate Palaeontologist (UK) Vertebrate Paleontologist (USA) – The branch of palaeontology that studies animals with back bones. Invertebrate Palaeontologist (UK) Invertebrate Paleontologist (USA) – The branch of palaeontology that studies animals without back bones. Micropalaeontology (UK) Micropaleontology (USA) – The study of microscopic fossils (micro-fossils). Palaeobotany (UK) Paleobotany (USA) – fossil plants; traditionally includes the study of fossil algae and fungi in addition to land plants. Human Palaeontology (UK) Human Paleontology (USA) – The study of prehistoric human and proto-human fossils. Palaeoanthropology (UK) Paleoanthropology (USA) – As above (prehistoric human and proto-human fossils). 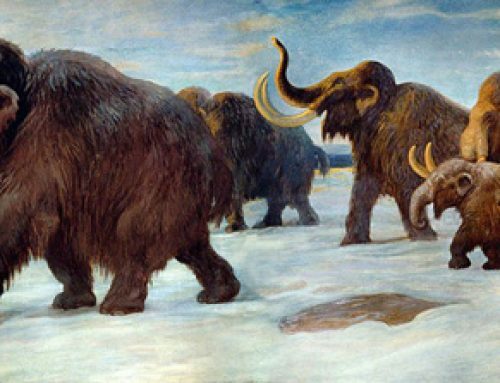 Palaeoecology (UK) Paleoecology (USA) – Ecology of extinct and prehistoric organisms. Palaeoclimatology (UK) Paleoclimatology (USA) – The study of past climates. Palaeogeography (UK) Paleogeography (USA) – Study of geographical features of the past. Palaeomagnetism (UK) Paleomagnetism (USA) – Study of the magnetism remaining in rocks and related magnetic fields. So the terms palaeontology and paleontology are equally valid, but whilst working in schools and UK based museums we tend to use the terms with an extra “a”.